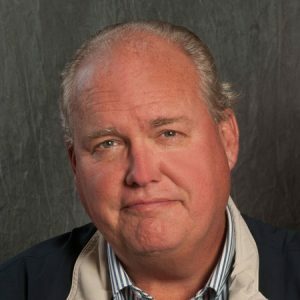 With Steve Dahl set to depart Cumulus-owned WLS-AM this Friday, the station announced last week it was shifting Big John Howell to afternoons from mornings starting January 3, from 5 to 7 p.m. weekdays. A veteran of WCKG-FM and WUSN, Howell joined Salem’s conservative outlet WIND-AM eight years ago and shifted to WLS-AM in 2015, paired with Ramblin’ Ray Stevens in mornings, also a WUSN alumnus. The moves are part of a bigger shift as WLS is tilting more toward conservative talk. Also beginning in January, WLS is shifting Ben Shapiro from evenings to afternoons and expanding his syndicated show to three hours. The controversial Shapiro is slotted from 2 to 5 p.m. There is still no word on who would fill morning drive or what would happen to Stevens. There is still talk Mancow Muller could do mornings, but those plans are still in negotiation. Bear down! 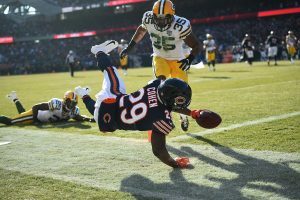 The Chicago Bears victory over rival Green Bay not only clinched the NFC North title for the Monsters Of The Midway (not to mention validation for that awful opening night loss), but also clinched a ratings victory for Fox-owned WFLD. According to Nielsen, the Bears game drew a 32.8 household rating – the highest-rated afternoon game so far this season and the third-highest-rated game overall in 2018. The ratings increases comes as the Bears win their first division title since 2010 and improved to a 10-4 record. The NFL has seen a bit of a ratings resurgence this year after a season marked with controversies on and off the field. CBS and the league received good news Monday as the highly-hyped New England Patriots-Pittsburgh Steelers game drew an overnight 16.5 household metered-market rating. Though it was down 4 percent from last year (featuring the exact same matchup in week fifteen), it is still the highest-rated NFL game this year in the overnights, surpassing Eagles-Cowboys on Fox just last week. With the hot Bears now in the playoffs, it could be a boon for the league as the team has always drawn well nationally (when the team is playing good , of course.) With the NFC up for grabs this year, it is entirely possible the Bears could wind up in the Championship Game – or even the Super Bowl. In a move surprising some in the industry, the Fox-owned stations have purchased the long-running syndicated strip Extra beginning in September 2019, leaving its longtime home at the NBC O&Os. Warner Bros. struck a deal with Fox to carry the show in the nation’s largest markets, including New York, Los Angeles, Philadelphia, Dallas, San Francisco, Orlando and Charlotte – the latter two currently in graveyard slots on CW affiliates. This gives Extra ten Fox-owned stations in its lineup. In Chicago, Fox-owned WFLD already airs Extra weekdays at 3 p.m. and 11:30 p.m. WFLD acquired the rights in 2016 after longtime rights holder WMAQ-TV dropped the show from its 4 p.m. time period for local news expansion. Extra also airs on Fox’s Washington D.C. duopoly and WJBK Detroit. Extra currently airs in the “prime access” time slots at WNBC New York, KNBC Los Angeles, and WCAU Philadelphia at 7 p.m. as a lead-in to NBC’s Access (formerly Access Hollywood). In Dallas, Extra airs at 6:30 p.m. on KXAS. NBC also holds rights to Extra at Miami’s WTVJ and Hartford’s WVIT; it is not known where Extra would end up in those markets next fall. However, Extra could stay on WTVJ and WVIT if NBC does not announce replacement programming for the show in its larger markets. NBC officials declined to comment. The NBC-owned stations were the first group to acquire Extra in 1993 as it was pitched as an alternative to Paramount’s Entertainment Tonight and Hard Copy after KNBC lost both access shows to cross-town L.A. competitor KCBS in 1994, the year Extra debuted. In 1996, NBC launched Access as an companion show, which it owned but didn’t syndicate at first. Celebrating its 25th anniversary this year, Extra is now hosted by Mario Lopez. Extra’s first anchors in 1994 were Arthel Neville and Dave Nesmeth. Other former anchors included Leeza Gibbons, Mark McGrath (of Sugar Ray fame), and Clarissa Thompson. In the most recent ratings report, Extra had a 1.1 rating. 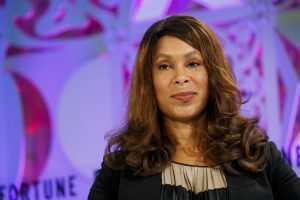 In another instance of the broadcast and cable industries losing talent to streaming services, Netflix Monday snared former ABC Entertainment President Channing Dungey as their new vice president of content, reporting directly to programming chief Cindy Holland. Dungey is the latest high-profile exec to jump to the service, following Shonda Rhimes and black-ish creator Kenya Barris, both also ABC alumnus. “Channing is a creative force whose taste and talent have earned her the admiration of her peers across the industry. She’s a risk taker and groundbreaker and talent love working with her. I couldn’t be happier to welcome her to Netflix,” said Netflix chief content officer Ted Sarandos in a statement. Dungey became the first African-American woman to be named president of an entertainment network in 2016. Dugney departed the position in November after a major shake-up within Disney/ABC’s television ranks, with several Fox execs coming on board thanks to the company’s acquisition of various 21st Century Fox assets. Dungey spent fifteen years at ABC, first at Touchstone Television/ABC Studios, developing shows such as Grey’s Anatomy and Criminal Minds (for CBS) among others and then onto the main network. The move is yet another reminder of how tough it is for the broadcast networks to compete with streaming services, not only for shows, but also talent and management. Other talent who shifted to the tech space include Ryan Murphy (also to Netflix) and several execs including former NBC Entertainment President Jennifer Salke, now head of Amazon Studios. And for those wondering…yes, Channing Dungey is related to actress Merrin Dungey (of Alias and Malcolm In The Middle.) They’re sisters.